Minimum wage proponents had a huge victory on Tuesday—with four new states joining the growing wave of state and local governments pushing to boost the pay of their low wage workers. On Tuesday, voters in Alaska, Arkansas, Nebraska and South Dakota all approved raising their states minimum wage requirements—an initiative President Obama and Democrats have routinely –and mostly unsuccessfully attempted to push at the federal level. 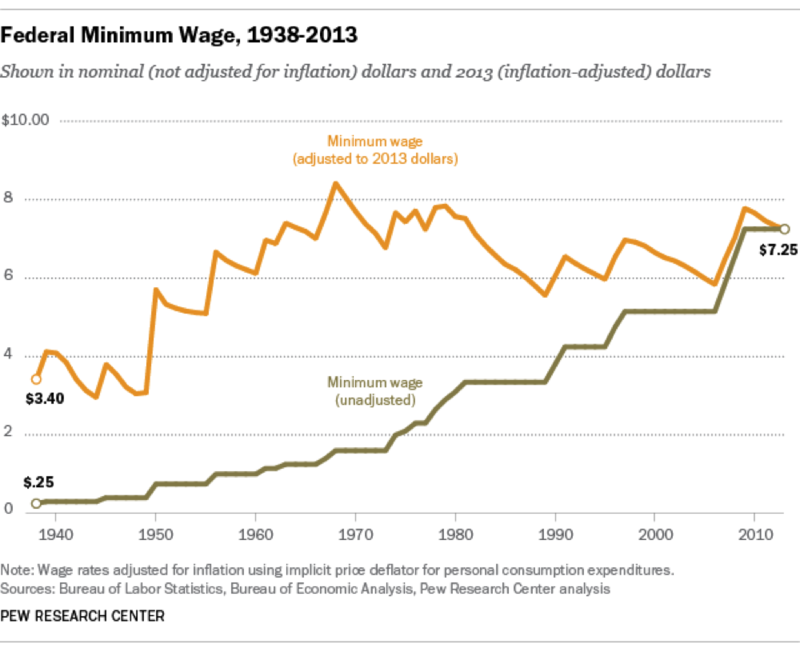 Obama has even issued an aggressive proposal to hike the federal minimum wage—now at $7.25 to $10.10. But experts say a wage hike is much more likely to happen more moderately at the state and local levels. “Tuesday’s votes shows that voters in these states have an appetite for increasing the minimum wage, but they are more interested in doing it in incremental fashion ” said Brett Coburn, Labor & Employment attorney and partner at Alston & Bird. He added that Obama’s proposal would have a much more immediate impact on businesses—especially smaller companies. The four states that approved the wage hikes are all currently operating under the federal minimum wage of 7.25. But now Alaska’s minimum wage will gradually rise to $9.75 by 2016. It will continue to increase with inflation. Nebraska’s will jump to $9 by 2016. South Dakota’s will be bumped up to $8.50 next year, and also be tied to inflation. Arkansas will rise to $8.50 by 2017. Meanwhile, several cities have approved more aggressive wage hikes. San Francisco, for example, passed a $15 minimum wage on Tuesday, as Seattle did earlier this year. Raising the minimum wage has traditionally been a contentious issue because of the way it could impact businesses as well as consumers. Opponents are usually smaller businesses and firms that employ mostly low wage workers – businesses that say they can’t afford the added costs of paying their workers more. “I would expect it would impact smaller businesses that are less able to absorb shock to their system,” Coburn said. “It’s really going to focus on industries that have a lot of low wage earner workers; certainly the smaller ones are going to be more damaged by it…” Coburn said. In Alaska, for example, where the seafood industry employs the largest number of low-wage workers in the state—companies are already preparing to cut jobs in anticipation of the new law. Alyeska Seafoods manager Don Goodfellow told Alaska Public Radio how he will be scaling back his workforce. Still, experts have found no historical evidence that minimum wage increases actually result in substantial job loss. Of course that was before the advent of robots. Earlier this year, the Center for Economic and Policy Research studied the 13 states that had raised their minimum wages to see whether they had experienced a decline in jobs. They didn’t. In fact, of those states, all but one saw job growth in the first five months of the year, The Fiscal Times reported. Many businesses who once opposed raising the minimum wage now see it as inevitable—especially as the cost of living increases around the country. Indeed, earlier this month, Kip Tindell, the incoming chairman of the National Retail Federation, that has long-opposed minimum wage hikes, said he’s working “to get the NRF to moderate its view on that. It’s unbecoming to speak out against raising the minimum wage,” he told Bloomberg’s Business Week. Coburn agreed and said a lot of companies have been bracing for a minimum wage increase for a while. He said, “They’ve been adjusting their business models in participation of that,” adding that it will likely result in some layoffs as well as costs being passed onto the consumer. Still, it appears that, for now, in at least 17 states, it’s what the people want.